In recent years, API use, and reliance on web services has increased. 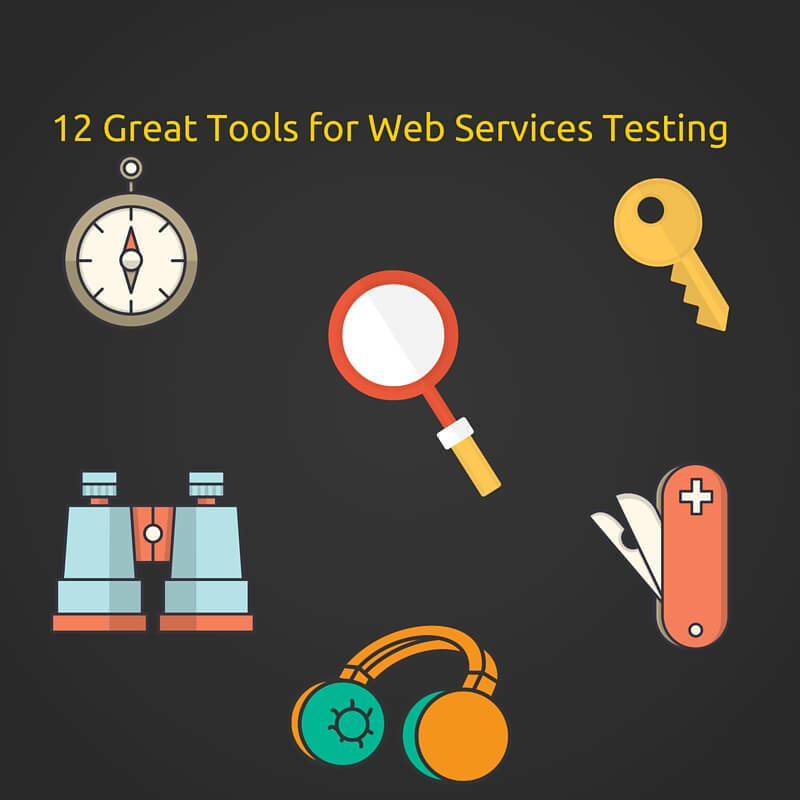 Here's a list of 12 awesome web service testing tools to aid your API and web service journey. Over the last few years, the popularity and usage of web services or APIs have increased. Web services, or APIs are a collection of procedures or software components that help an application to interact or perform some process/transaction by forming a connection between other application or server. There are basically two types of web service – REST and SOAP to drive the communication of data and information over internet protocol. Since these web services are exposed to the web and distributed over different networks, they are vulnerable to risks and security threats which affect the processes based on them. Hence, testing of web services or APIs becomes necessary to ensure they perform rightly and respond correctly to the queries. There are several commercial and open source testing tools in the market to test their connectivity, response, and performance. These testing tools automate testing for a specific scenario such as functional testing, load testing, performance testing, etc. Below tools are not in any specific order. SoapUI is an open source, cross-platform testing tool. It can automate functional, regression, compliance, and load testing of both SOAP and REST web services. It comes with an easy-to-use graphical interface and supports industry-leading technologies and standards to mock and stimulate behavior of web services. Provides printable, exportable, and HTML-based reports at Project, TestSuite, TestCase, or LoadTest level. Comes integrated with Hudson, Bamboo, Maven, ANT, and JUnit. Allows developing own set of features as SoapUI Plugins. Records, monitors, and displays all the data. Supports WS-Security and SSL decryption. TestingWhiz is a codeless test automation tool which comes with API/web services testing capability. It lets you perform functional, compliance, load testing and mocking of REST and SOAP web services via WSDL interface over HTTP and FTP. It also let’s perform service denial and penetration checks to ensure the overall health of the web services. Plus, it also lets you perform end-to-end testing right from Web UI, business logic, to database and ETL without coding needs. Supports String comparison to validate the API response. Helps log API defects through integrated bug tracking tools like JIRA, Mantis, and Fogbugz. Generates visual logs and reports of test execution with an emailing facility. Allows distributed and parallel execution across multiple machines and nodes. Provide Continuous Integration with Jenkins, Bamboo & Hudson. Supports data-driven and keyword-driven testing. SOAPSonar provides comprehensive web services testing for HTML, XML, SOAP, REST, and JSON. It provides functional, performance, compliance, interoperability and security testing with out-of-the-box support for OASIS and W3C standards. Supports vulnerability tests with XSD-mutation. Provides comprehensive WSDL and Schema parsing. Performs load testing with behavior modeling and multiple simultaneous loading transactions. Provides reports in XML, DOC, XLS, PDF, RTF, and RPT formats. Integrates with HP Quality Center. SOAtest is an enterprise-grade tool by Parasoft for testing and validating APIs and API-driven apps. It provides robust support for the functional unit, integration, security, simulation, mocking, compliance and load testing of technologies like REST, JSON, MQ, JMS, TIBCO, HTTP, and XML. Comes with an easy-to-use interface. Helps create sophisticated, extensible and reusable tests without coding. TestMaker is an open source tool to test and monitor the performance of the web, web services and SOA application by PushtoTest. It runs on Jython (Python written in Java). TestMaker can repurpose Selenium tests, SoapUI tests, Sahi tests or any tests written in Groovy, Java, Python, PHP, Ruby and Perl into functional, load and performance tests. Uses command-line prompt for functional, load and performance testing. Features an intuitive look and feel with a standard multi-windowed IDE. Provides a monitoring dashboard to run tests and display live results. Allows accessing all Java libraries and classes due to Jython language. Postman is yet another API/ web services testing tool which comes with powerful HTTP client support. It has an easy-to-use request builder that allows you to write test cases and manage response data and response time for efficient testing and management of API test cases. Allows collecting and organizing APIs in a feature called Postman Collections. Facilitates collaboration and sharing of API data and controls with the team. Comes with pasting text feature for hassle-free test creation on command line window. Allows writing Boolean tests within Postman Interface. vRest is a tool exclusive for testing, mocking, and validation of REST APIS and web services. It also supports testing of web, mobile, and desktop applications that interact with third-party APIs or HTTP services. Comes with a mock server functionality to create API mock within minutes. Provides a Chrome extension to record and play test cases. Supports integration with Jenkins for continuous server integration and Jira for bug tracking. Facilitates roles and permissions management. HttpMaster is another exclusive tool for REST web services testing. It helps testers to test the behavior of REST APIs and validate output data in formats like XML, JSON, and HTML. With its universal HTTP tool, HttpMaster also helps developer simulate client activity and response behavior of an API application. Comes with an easy-to-use and elegant user interface that doesn’t require advanced technical skills. Uses HTTP methods such as GET, POST, DELETE etc. Provides different validation types and expressions to ease testing. Allows storing all information – API calls and project data at a single place. Runscope is a simple tool to test and monitor the performance of the API. It helps you verify whether the web service or API returns the correct data and also prompts when things go wrong with the API. Runscope also supports API and backend service testing of mobile apps. Allows creating tests with dynamic data for even complex cases. Displays visually-rich metrics and analytics to identify problems. Integrates with tools like HipChat, Webhooks, Slack, and PagerDuty to notify when the APIs are down. Allows reusing and executing tests across multiple locations. Facilitates managing tests centrally for better team collaboration. Rapise is a robust automation tool with powerful and extensible features. It is based on an open and flexible architecture for rapid functional testing of REST/SOAP web services. Rapise also provides support for testing web applications built in Java, .NET, Ajax, Silverlight, and Flash. Uses HTTP standard methods such as POST, GET, PUT, and DELETE. Allows storing prototyped requests against a specific web service. Contains built-in REST definition builder and object library. Comes with powerful, integrated reporting capabilities. Supports cross-browser testing and parallel execution. WebInject is a free tool for automated functional, acceptance, and regression testing of web and web services. It is a command-line tool and is based on Perl, which simplifies the execution of tests since it doesn’t require one to spend time at the command prompt. Further, it has no IDE like user interface which means, the tests are written outside of the WebInject UI. It can run on platforms that have Perl interpreter. Supports different usage – as a complete test framework and as a standalone test runner. Generates reports in HTML and XML formats. Allows integration with other systems as a plugin for external monitoring. Lastly, Storm is another open source tool by CodePlex for testing web services written in Java or .NET. It currently supports only SOAP web service. Allows testing multiple web services from a single UI. Helps edit raw SOAP requests. Allows invoking web service methods that contain complex data types. Supports testing of WCF apps. Certainly, the list does not end here as there must be several other tools for testing web services which we might have missed. Do you wish to share any tool that can help in web services testing? If yes, add in the comments section. Published at DZone with permission of NaveenKumar Namachivayam , DZone MVB. See the original article here.